Does it sell ME and does it do so accurately? Does it do justice to me as a BRAND? Does it make compelling reading? The OPQ questionnaire invites participants to describe their own behavior, preferences and attitudes, in relation to different aspects of their working life, by identifying from blocks of statements, the one that was most, and the one that was least, like themselves. Their responses are compared against those of a large relevant comparison group (SA Managerial Professional) to yield a profile of the participant’s perceived preferences for ways of behaving at work. Verbal, Numerical and Inductive reasoning ability assessments indicate the participant’s critical reasoning ability when compared to a large and relevant comparison group (SA Banking, Finance and Professional) that completed the same level of assessment (SA Managerial / Professional level). Verbal Ability: Indicates the level of ability in understanding and evaluating written reports and documents. Numerical Ability: Indicates the level of ability in understanding or interpreting numerical data and mathematical calculations. Inductive Ability: Indicates the level of ability in understanding incomplete information and solving novel problems by creating solutions from first principles. Broadly speaking, the CPP measures an individual’s capacity for judgement and decision-making in increasingly unfamiliar and more complex environments. It therefore provides information on the level/s complexity at which an individual is comfortable operating with a view to establishing a level of flow or match between the individual’s capability and work environment. It also provides information on information processing styles, approaches and preferences in unfamiliar environments. The CPP measures a construct called CAPABILITY. This describes a person’s capacity to apply judgement and discretion to make decisions in increasingly unfamiliar environments. This competency element becomes critical as work becomes more ambiguous and complex – as one no longer can refer to past knowledge, structure or short-term feedback to base decisions on. The CPP measures where one is currently best able to apply this judgement and, where one has the potential to do so, should various factors be understood and resolved. In the World of Work, as one moves away from the Operational to the Strategic domain, uncertainty increases. With this, structure reduces and chaos increases. 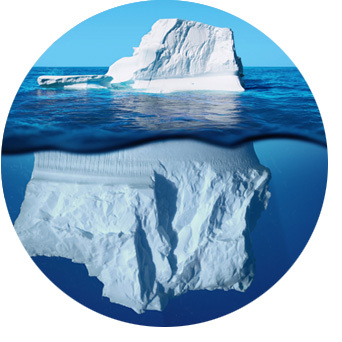 The need for a long-term orientation becomes critical and, one needs to be able to look at possibilities rather than practicalities; and suspend detail to become aware of the dynamics of the situation. As this happens, work becomes more complex and the need for judgement in decision-making increases. The CPP describes the work environment, where an individual currently applies his/her judgement (current capability environment) as well as the work environment where that individual has the potential to apply judgement and discretion but is constrained by certain cognitive, emotional and/or meta-awareness factors that could constrain or facilitate judgement. Competency in a role is reliant on an individual meeting the capability requirements (capacity for judgement and discretion in increasingly unfamiliar and more complex environments) as well as the relevant competency elements relating to relevant knowledge, skills and psychological attributes for that role. First impressions go a long way, especially when meeting with potential employers. The first thing that strikes and employer is what you are wearing and how you present yourself, so why not make it count! Recruitment has evolved over the years so whether it is a face to face interview or via an online platform such as Skype, always put in effort with regards to your appearance. Regardless of the nature of the job you are considering, it is important to dress neatly and professionally in order to make a good first impression, especially when interviewing for a corporate role. This gives you the opportunity to sell yourself on more than just qualifications and experience. To assist you in making a great first impression for your new dream job, we have put together a few tips on how to dress for success for both men and woman. If in doubt, the default is to look conservative. 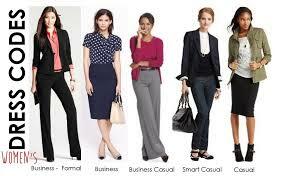 Generally ladies are more complicated and varied when it comes to fashion. There are a number of things to consider such as make up, what bag to wear and how much jewellery to put on. The tip is to keep it simple and sophisticated! For a professional interview, men can default to wearing a suit or smart shirt and pants with a jacket. 2. There is often more than 1 interviewer so build rapport with both, make eye contact and be pleasant and friendly. 3. Give lots of relevant examples from your previous or current role. 4. Please do company research and ensure that you understand what the business is about. Competence relates to knowledge or technical skills a person displays in the work they do. Examples are proficiency in Excel, knowledge of legislation or product etc. Competencies relate to behaviour and how they are supposed to act when performing work duties. Examples of behavioural competencies are planning, meeting deadlines, building relationships, making decisions etc.